When I decided to write my first book, it was one of those “you better do it now, or you’ll never do it” things. For years I had struggled to get my story out – any story for that matter. I’d start and stop, never really getting anywhere. So when the miracle happened and I actually finished Off The Grid, I thought the next steps would be cake. I would submit my wonderful manuscript to agents who would fall all over me with big piles of cash and a book deal. That’s not exactly how it happened. I followed the traditional steps of writing, editing and finalizing a manuscript. I ran the book past four beta readers, including Dan Absalonson who hosts this site. I had it edited by a copyeditor. It was ready for submission, or so I thought. I spent weeks finalizing a query letter after learning the ropes and meeting some agents at the Pacific Northwest Writers Association conference in Bellevue, Wash. Some agents wanted just a query letter, while others wanted a 1-2 page synopsis or sample chapters. Every agent wanted something different. I spent about a month sending out 40 submissions – exactly the way they asked for them. Experienced writers may say 40 submissions is a small number. You should have sent out more. I only picked agents that I actually wanted to represent me. I didn’t shotgun out my heart and soul to everyone who claimed to be an agent. I wanted a good one. The rejections trickled in, but after two months of waiting and checking my email like a crazy person 20 times a day, I was tired of it. The waiting killed me. To me it meant that my work was being held hostage. It’s just a story after all – it needs to be told, not sitting in the inbox of some agent in New York. The alternative to the gut-wrenching waiting and self-doubt was right in front of me the whole time. I knew self-publishing was Plan B. But I wanted to give the traditional route a try before I shifted course. In early October I was in Coeur d’Alene Idaho at an event and I ran into a fellow author who I also saw at the PNWA conference back in August. She asked me about where I was with the book. She was probably the 200th person to ask me about it since I started querying. Without putting a lot of thought into what I was saying, I said that I was tired of waiting and was about the begin the process of self-publishing on Kindle, Nook and CreateSpace. That decision sent me on a whole other journey to get a cover design and put my words into the format that Amazon and Barnes & Noble wanted. I could spend multiple posts on what that was like, but I’ll just say this – it wasn’t easy for a newbie. I get it now and feel that I’ve mastered it, but it was rough. I’m so glad that I self-published. With the amount of thought and hard work that any first-time author puts into their work, it’s insane that we then cross our fingers and hope that an agent can then do a better job of publishing our story than we can. Sure, they’ve got some sort of mystical powers that no one quite understand, but I’m pretty damn mystical too. The world has changed, people. Don’t let rejections get you down. You have a real alternative, you just have make the decision to feel good about your work. 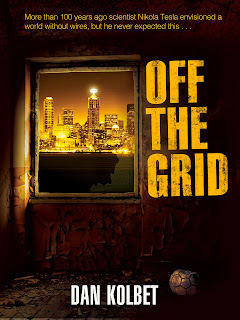 Off The Grid is Dan Kolbet’s debut novel. The book is available on Kindle, Nook and in paperback through CreateSpace. Kolbet blogs at www.DanKolbet.com. I really enjoyed Dan's book when I read it as a beta reader. 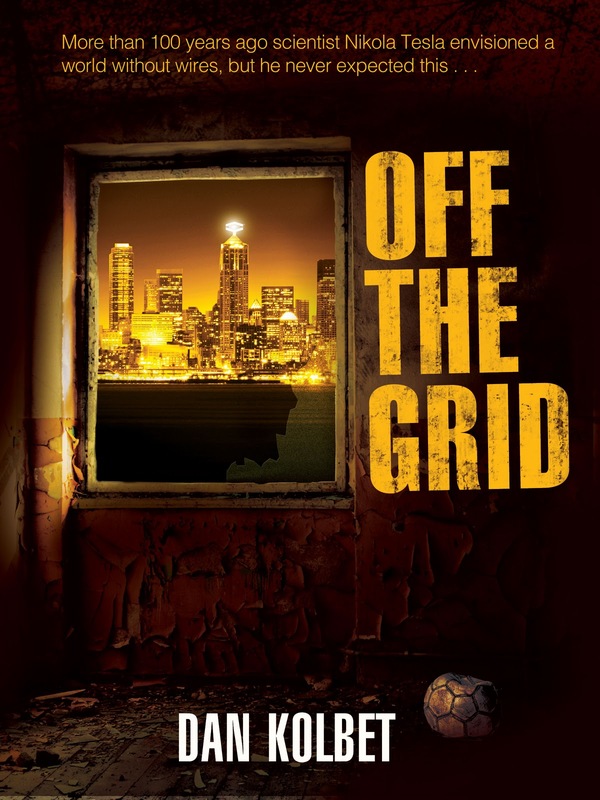 Grab a copy and support an awesome indie author, and once you've read it leave him a review. Thanks for stopping by the blog, which is now my main website. Hope you like the redesign.